Spectacular Park Serve Day on Spectacle Island! Vice President Susan Fagan of Coca-Cola greet volunteers at Long Wharf. On Saturday, April 21 dozens of volunteers from Coca-Cola teamed up with Save the Harbor/Save the Bay for a community service project on Spectacle Island during the first-ever Coca-Cola Scholars National Day of Service as part of the Department of Conservation and Recreation's Park Serve Day 2012. The trip out to the island was amazing! Though the day was cloudy as we boarded the boat, the skies had cleared by the time we arrived at Spectacle Island, to help get the island ready for the season. I loved seeing the Boston skyline from the water and other Boston Harbor landmarks like Pleasure Bay and Castle Island. We were greeted by many warm and friendly faces from the DCR. Our group broke out into smaller teams and helped by moving brush, removing trash, and weeding. The work was challenging, but it was rewarding to see how quickly a group of dedicated people could work together and finish a project. All in all, it was a great day, the sun came out, and everyone had fun! This trip made me really see how many great outdoor opportunities are around Boston and I hope to return to Spectacle Island in the near future! Thanks to everyone who came to help out and make the day such a great success! 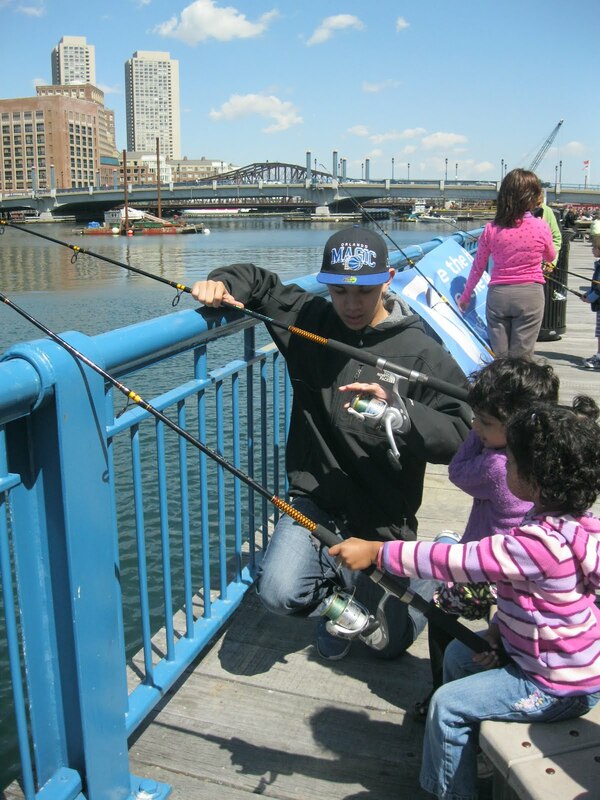 Today was my second day of fishing with Save the Harbor/ Save the Bay in front of the Boston Children's Museum. The weather and time helped get more kids to come out and fish with the crew. It was very sunny out and the tide was high. Construction across the Chanel was quiet so maybe there was more fish out. Fishing was very fun. Once we got the rods and set up everything, it was time to fish. Since I learned a little about fishing the other day, I was prepared for what was ahead of me. Many kids started showing interest in fishing and wanted to fish. 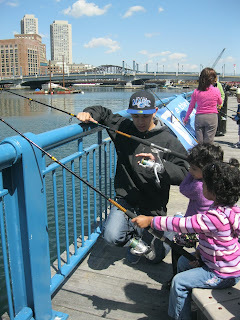 Since most of the kids were young and didn't know how to fish it was my job to help them. I was able to show the kids how to fish and even though it took awhile it was worth the wait. Once I showed the kids how to fish they were fascinated and in love with it. The kids stayed fishing for over 30 minutes and didn't even want to leave, hassling their parents to let them stay. To see all of them have a blast was amazing and even though we were not able to catch fish everyone had a great day. I look forward to hopefully helping Save the Harbor/ Save the Bay in the summer with fishing. My name is Christian Aguilar I am 15 and I attend Trinity Catholic High School. Today was my first day of my April Break internship at Save the Harbor/ Save the Bay. I was sent here from my middle school Epiphany, who has a graduate support program to help recent graduates. I was sent here to get a feeling of how it is to work in a office space so I can be a little more familiar with having a job. Coming into the job I didn’t know much about the organization just that the program was involved with the ocean. When I first got there I was very nervous about what was ahead of me. I got to meet most of the crew at the meeting and learn somewhat of what the company is up to. The crew was very welcoming and opened. Then I was assigned a job which was to learn about the organization and find out what they do for the community and how it benefits Boston. After doing some research and some walking around along the pier it finally hit me I knew what the program was about. 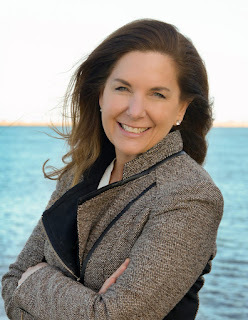 Save the Harbor/ Save the Bay is not your “typical environmental organization”. They don’t always look to the government for help. The company is built from knowledge and fundamentals. The task of the program is to clean up the dirty and horrible stench of Boston Harbor. They set up goals to make the dirty water to pure water. I think the motto of the program is to save the sea life and make the water clean enough to swim in. Looking around I got to see many sights like the boats sailing around in the smooth water or just parked in the water waiting to be used. Also I got to see many nice restaurants with high class service and food that wowed my eyes. Walking around was amazing I got to smell the fresh smell of the ocean and fish. I got to see the world trade center and the body of clean water that surrounds it. I also got to see all the minute businesses that are running along the side of the ocean. There were so many sights but next to all the sights I saw the beautiful water that surrounds those sights. I’m looking forward to fishing at the children’s museum and also joining the crew on a trip out on the water. Maybe ill see you at the Children's Museum later!